Psychologists annual conference this past Thursday and Friday at the Turning Stone casino in Utica. 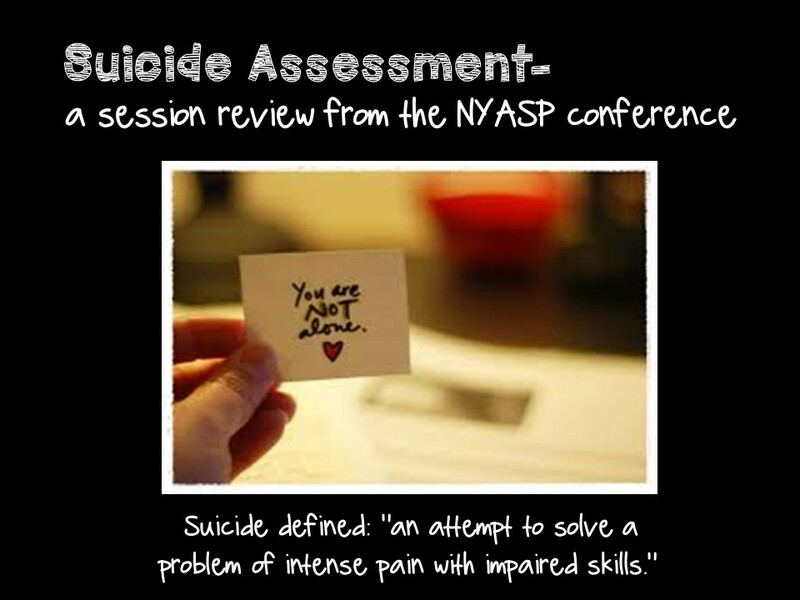 The NYASP conference is a bit different than a school counselor conference. A lot of the sessions did focus around assessment and were somewhat technical, but I did participate in a few very helpful sessions. Barbara Coloroso was the keynote on Thursday. If you are unfamiliar with Barbara, she is an excellent speaker and author of the Bully, the Bullied, and the Bystander. In addition, she has a website Kids Are Worth It, where she has a lot of great information about bullying. I also sat in on a great session about Peace Circles. Peace circles are being used in Syracuse City Schools and have become a regular morning routine. Peace circles are a form of restorative justice and focus primarily on preventative circles which are loosely based on the Native practices of many ancient cultures. Most of our native ancestors built their communities in the round, holding council circles to communicate, solve problems and make decisions. For more info on peace circles, check out this website. But probably the session that I got the most information that I could turn around and use back at school is from the suicide session I attended. Probably the best tool for assessing the level of risk is the Columbia_Suicide Severity Rating Rating Scale. The C-SSRS has a free online training and scales that can be downloaded. This is the only risk assessment tool that our school uses and is widely hailed as the best. There are also several iPad apps that you can download for free to help with safety plans. Safety Plan is a free app with a list of coping strategies and social supports that people can use when they are in a suicidal crisis or very distressed. It helps them not act on their suicidal feelings. Here is a screen shot of the app when opened. Another must have app is Suicide Safe by SAMHSA. Suicide Safe is a suicide prevention learning tool for primary care and behavioral health providers and is based on the nationally recognized Suicide Assessment Five-step Evaluation and Triage (SAFE-T) practice guidelines. Suicide Safe helps providers feel confident to assist patients who present with suicidal ideation. The app offers tips on how to communicate effectively with patients and their families, determine appropriate next steps, and make referrals to treatment and community resources. Here is a picture of the app when open. This is really good tool but I don’t believe that it can do all that work that experienced physiologist does. By the way I have read “How to Be Confident and Open for Your First Interview” and can recommend it. Carol I just want to thank you for this wonderful blog and all that you post! I can't help but think how fortunate your students, staff and parents are to have you!! !